Wine to accompany your summer barbecue. Sonoma’s Dry Creek Valley highlights the density and tenacity of the variety, revealing concentrated, luscious, complex fruit. Organically grown Quivira Black Boar Zinfandel highlights the spiciness of Zin with sweet nutmeg, clove, and cinnamon wrapped in layers of black cherry and berry. Decoy sources the dominant percentage of their Sonoma County Zinfandel ($25) from Dry Creek’s pristine vineyards where hot days easily ripen delicate fruit, while cool evenings keep grapes fresh and lively. The food-friendly wine is both luscious and complex. Though we tend to associate Russian River with Pinot Noir, Dutton Goldfield produces a small lot of Morelli Lane Vineyard Zinfandel ($50) from the AVA. Filled with layers of blackberry, raspberry, and cocoa with a beautiful freshness thanks to the influence of the River on the vines. Ravenswood, one of the leaders in quality Zinfandel delivers with their Old Hill Vineyard Sonoma Valley Zinfandel ($60). Ripe and fruity, with an undertone of earthiness, creating a complete wine with blackberry, earthy tar, pepper spice and toasted vanilla. If you can get your hands on an older vintage as well, grab it as this is a wine that will age beautifully. Though Zinfandel isn’t as present in Napa Valley, there are a handful of wineries showcasing the tenacity of Old Vines in historic vineyards throughout the region. Chateau Montelena ($35) blends both gnarly 40+-year-old vines with younger selections for their Zinfandel, for a highly concentrated wine layering blackberry, dark chocolate and a hint of smoked meat. Paraduxx blends a high amount (30%) of Zinfandel into their Napa Valley Proprietary Red Wine ($48, Pogo’s). With Cabernet Sauvignon as the base wine, the Zinfandel layers in spice and juicy red and blackberry to make this a highly enjoyable, approachable option from the region. 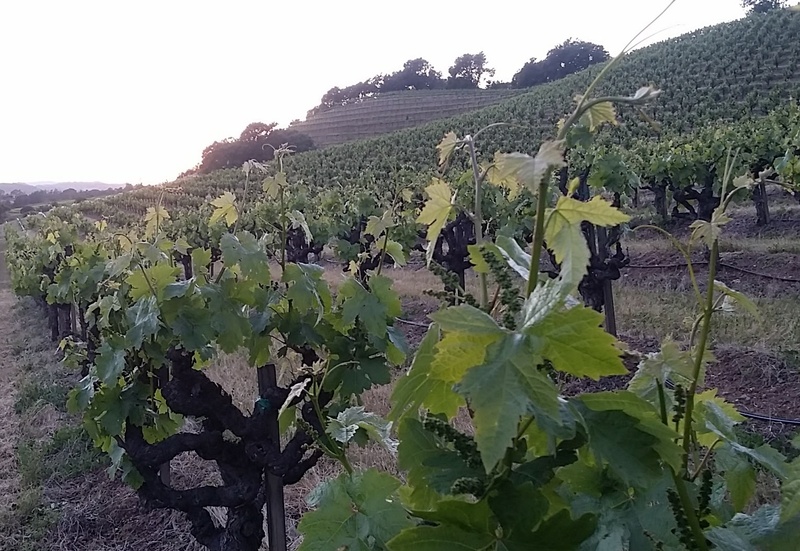 Over 100 years ago in California’s Contra Costa County Italian immigrants planted Zinfandel that has evolved to produce exquisite wine for Sonoma’s Cline Cellars. Cline Ancient Vines Zinfandel ($20) opens with ripe raspberry and strawberry notes layered with pepper and spice. Though quite fruit-forward, there are nuances of earthy tar, dark chocolate and vanilla rounding out the wine, making it ideal with roasted meats. Averaging more than 70 years, Seghesio Old Vine Zinfandel ($40) is dense and concentrated with blackberry pie and cherry tart notes melding with purple flowers and an earthy, briary undertone making it ideal to pair with smoked chicken or beef. Old vines thriving in California’s Lodi region, many grown sustainably, showcase the approachability of the variety. Food-friendly options like Lange Twins Caricature Old Vine Zinfandel ($20, Goody-Goody) to Michael David Seven Deadly Zins ($16) to Apothic ($14) layer ripe bing cherry, blackberry, caramel and toasted toffee for easy drinking, smooth red wines.